Last year I shared a DIY Spending Tracker. I was desperate to be on top of my finances and tracking my spending is such a brilliant idea. I know exactly where my money is going. Though writing down how much money I spent in a day can be pretty time-consuming, I’ve grown to love the process. Hindi na ko nanghuhula kung saan napupunta yung pera ko. The daily log also made me more aware of how much I am spending in a day. On the latter part of 2015 I saw a very nice stuff at Landmark. I’ve been wanting to share it over a blog post so here it is. 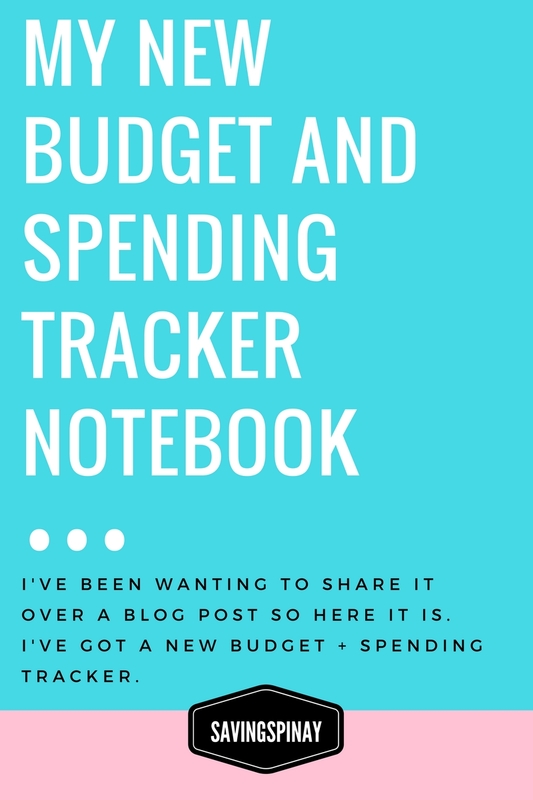 I’ve got a New Budget + Spending Tracker. This 2016 I am doing The Half-Payment Method. I saw this method on TheBudgetMama.com and love it so much. How does The Half-Payment work? You divide in half all of your regular occurring payment. You have to pay 2500pesos at the end of the month for your rent. In The Half-Payment Method you will budget 1250pesos on the first paycheck and another 1250pesos on the second paycheck. This way you will surely have a total of 2500pesos at the end of the month. Same goes with the rest of the things included in your budget categories. You just divide it in half and allot your paycheck 1 and paycheck 2 accordingly. Juan pays 5,000pesos monthly for his car loan. Instead of having the second paycheck suffer to the whole amount you can divide the payment in half and save 2,500pesos on the first cut-off plus wait for the second cut-off to pay another 2,500pesos. You will surely become less worried that you don’t have enough money to pay for the bills. However, you need to embody a lot of financial discipline if you want to succeed. Doing The Half Payment Method takes a lot of courage and planning. Now here comes the most brilliant idea of all. My amazing find notebook at Landmark comes with an expanding envelope and notebook in one. How amazing isn’t it? The Expanding Envelope is where I will save all of the half-payments from the regular occurring bills I have this month. The Notebook part is where I jot down my budget of the month, my saving goal, budget of the week and my daily spending tracker. I have it all in one nice, small, easy-to-bring place. Currently the money I am using to survive the first two weeks of January is from last December’s budget. I have yet to receive my first paycheck this month but I am excited to do start the Half Payment Method. But I already used the notebook to track my spending which is by the way awesome. I bought this bad boy for just 75pesos and it did changed the way I budget and the way I trace my spending. I feel like with the new budget technique I can manage to stop living paycheck to paycheck and have a solid foundation towards my financial freedom journey. I am just so excited with this one.